I was thinking of writing a blog about cloudstack implementation for a long time because the documentation does not includes basic and simplified way of implement. I will cover implementation for production environment instead of testing environment and i will try to describe it simple. XenServer is a server virtualization platform that offers near bare-metal virtualization performance for virtualized server and client operating systems. XenServer runs directly on server hardware without requiring an underlying operating system, which results in an efficient and scalable system. 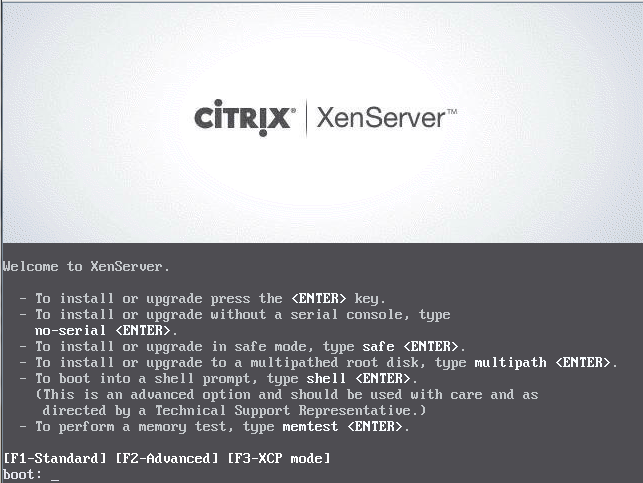 XenServer works by abstracting elements from the physical machine (such as hard drives, resources and ports) and allocating them to the virtual machines running on it. Virtual machine (VM) is a computer composed entirely of software that can run its own operating system and applications as if it were a physical computer. A VM behaves exactly like a physical computer and contains its own virtual (software-based) CPU, RAM, hard disk and network interface card (NIC). 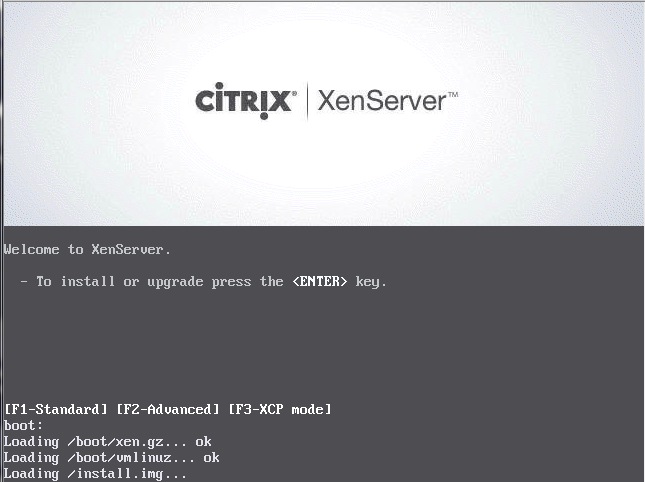 XenServer lets you create VMs take VM disk snapshots and manage VM workloads. Increasing portability of VM images, as one VM image will work on a range of deployment infrastructures. · Role Based Access Control to enable you to control, at both broad and granular levels, which actions different types of administrators can perform in your virtualized environment. · Dynamic Memory Control, allowing you to change the amount of physical memory assigned to a virtual machine without rebooting it. · VM snapshot management, including support for snapshots with or without memory, and snapshot rollback for a quick backup and restore mechanism. 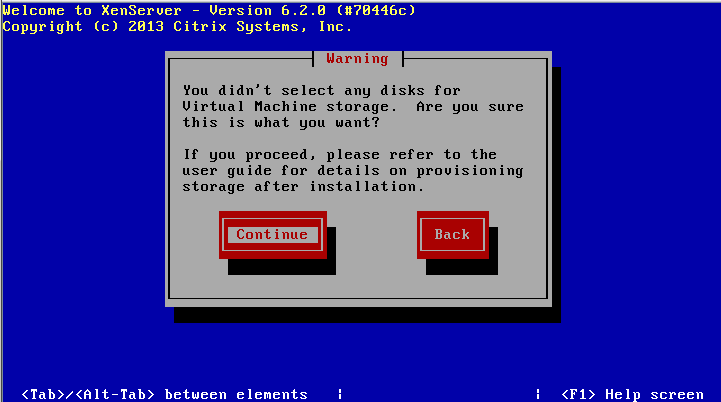 · Full virtual machine installation, configuration and lifecycle management. 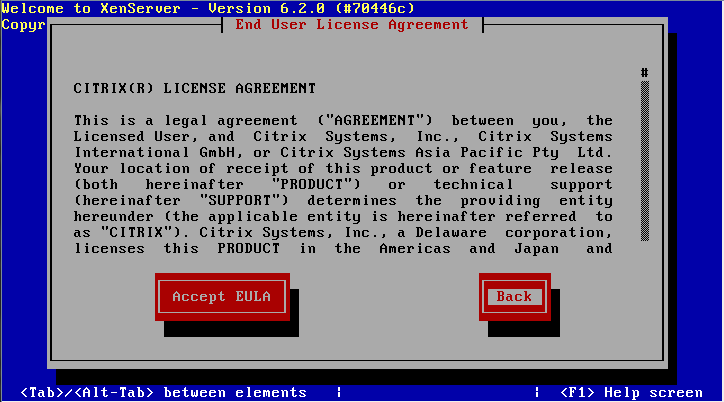 · Access to VM consoles: VNC for installation-time, Xvnc for graphical displays on Linux, and Remote Desktop for Windows. · XenSearch: searching, sorting, filtering, and grouping, using folders, tags and custom fields. · Complete resource pool management. · Active Directory integration, for user authentication and revocation. · Workload Balancing, for pool-wide load balancing recommendations. · Workload Reports, giving performance views over time and across the datacenter. 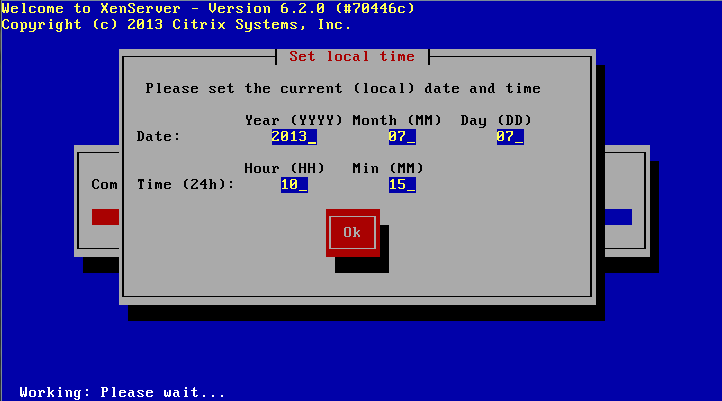 · Performance metrics display (in XenCenter). 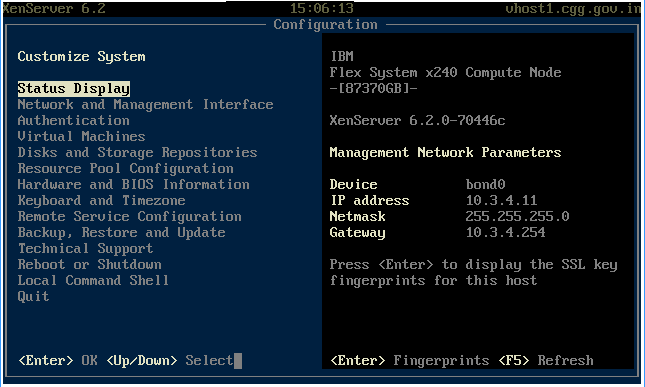 XenServer requires at least two separate physical x86 computers: one to be the XenServer host, and the other to run the XenCenter application. 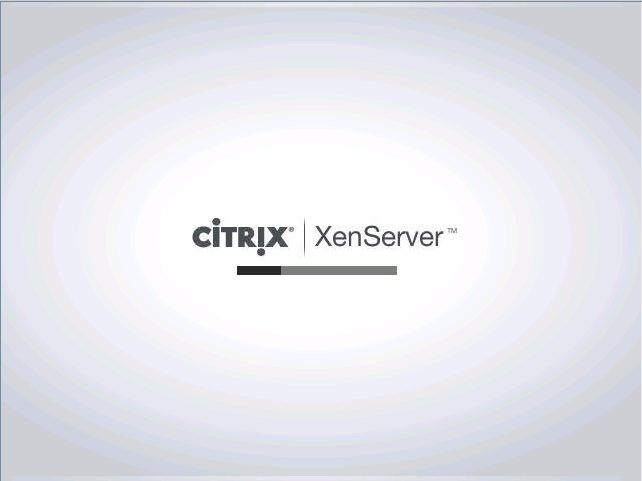 The XenServer host machine is dedicated entirely to the task of hosting VMs and is not used for other applications. 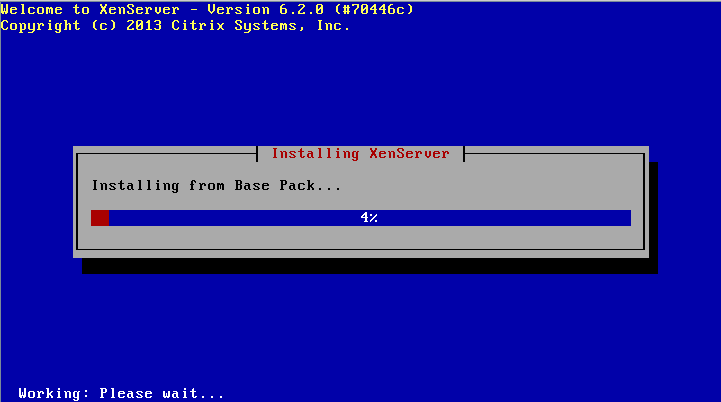 The XenServer host is a 64-bit x86 server-class machine devoted to hosting multiple VMs. This machine runs a optimized and hardened Linux partition with a Xen-enabled kernel which controls the interaction between the virtualized devices seen by VMs and the physical hardware. 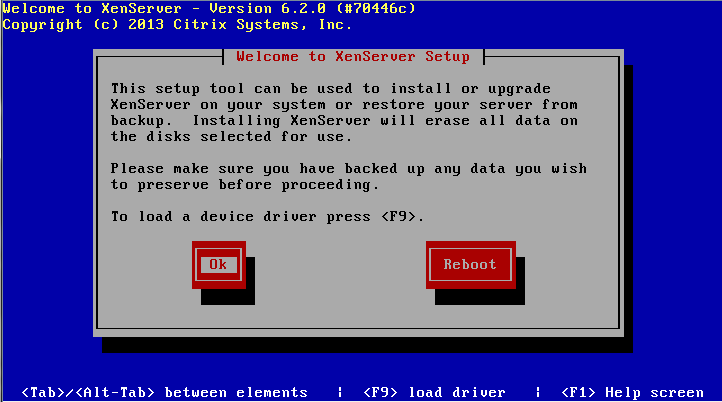 Insert the Xenserver CD and reboot the server, it will display a boot menu. 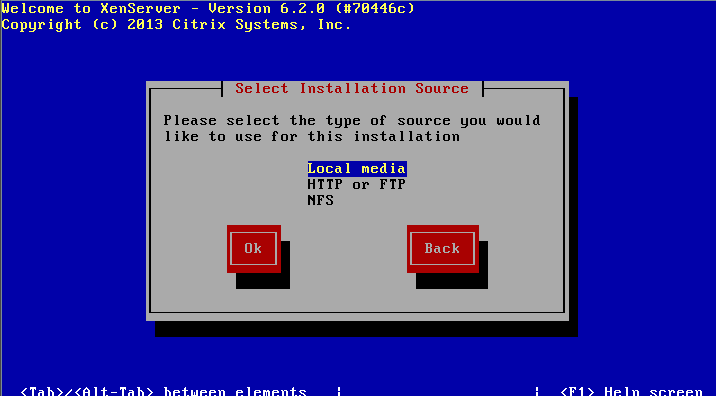 When the installer initially boots, press F2 to access the advanced installation options. Type shell and press enter. The installer should begin booting into a pre-installation shell where you can make your adjustments. 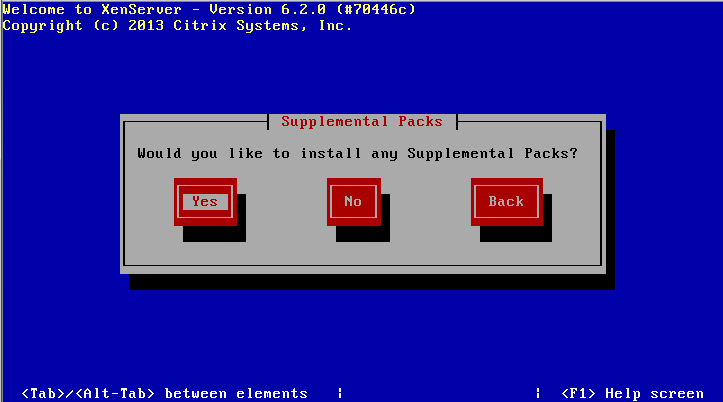 Once you’ve booted into the pre-installation shell, type vi /opt/xensource/installer/constants.py and press enter. Change GPT_SUPPORT = True to GPT_SUPPORT = False to disable GPT and use MBR partition tables. Adjust the value of root_size from 4096 (the default) to a larger number to get a bigger root partition. 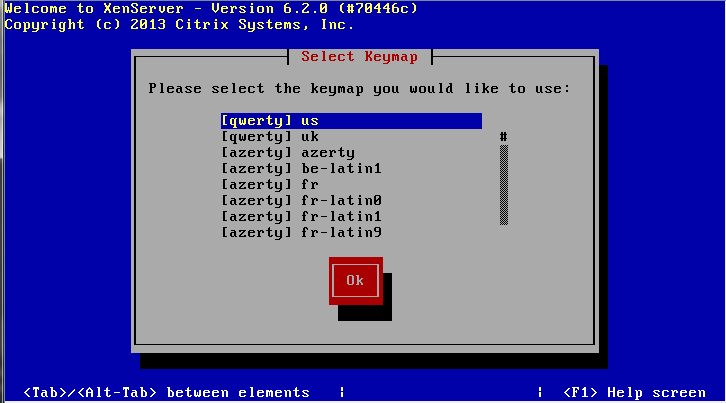 As most of you who have installed many OS’ would be familiar with, we begin by choosing the keymap. We have the install media here so we will use the Local Media option. 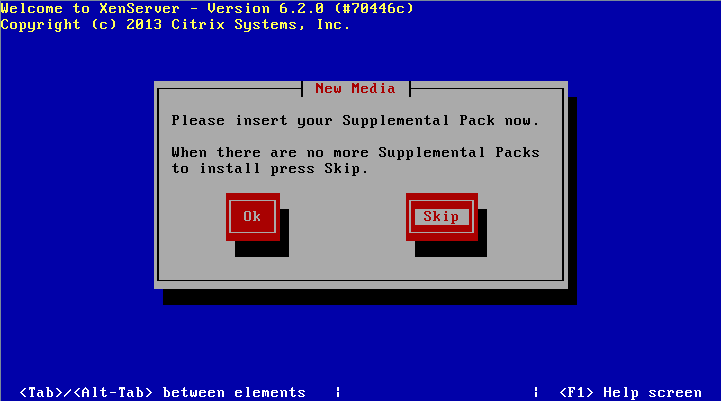 If you have to ask what a Supplemental Pack is, you don’t have one. Select No. If you select Yes and don’t have one don’t worry, it won’t harm anything. 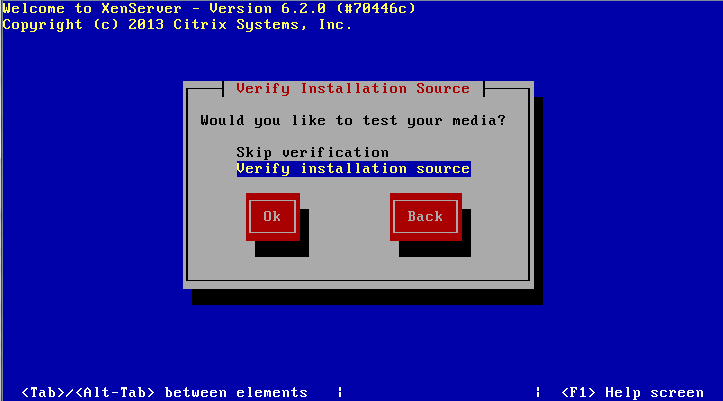 You can verify your installation media here if you like. 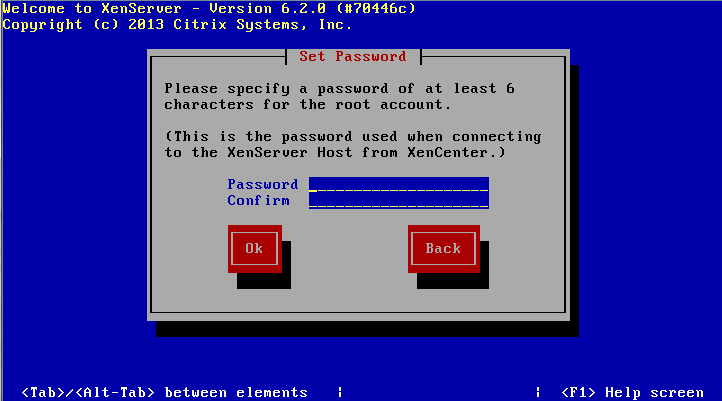 Pick a root password – you will need this for logging in via the console or via the XenServer client on Windows. 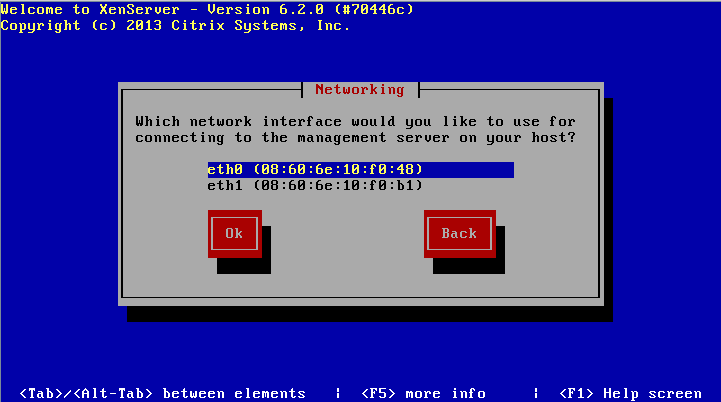 The motherboard we are installing to has two Ethernet ports, both of which are supported by XenServer 6.2. Choose the one you wish to use for the management network – you can change this later. 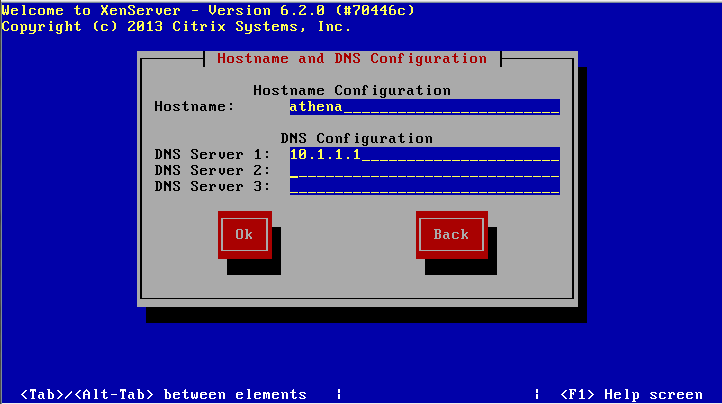 Next we choose the hostname and the DNS server settings – if you’re at home you likely use your gateway IP address. This one should be easy – pick your country! 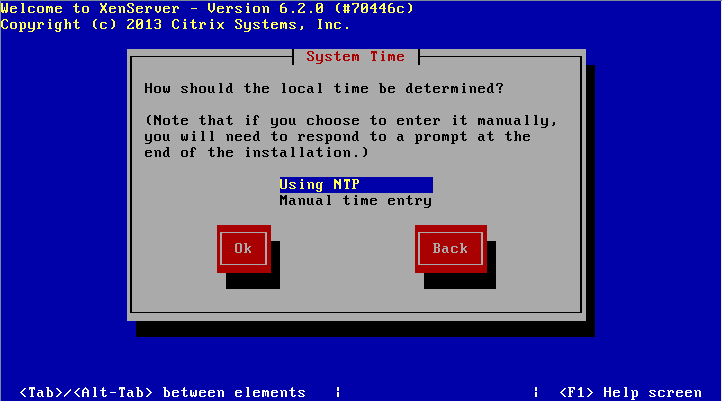 Now choose whether to set your time based on an NTP server or on your manual input. 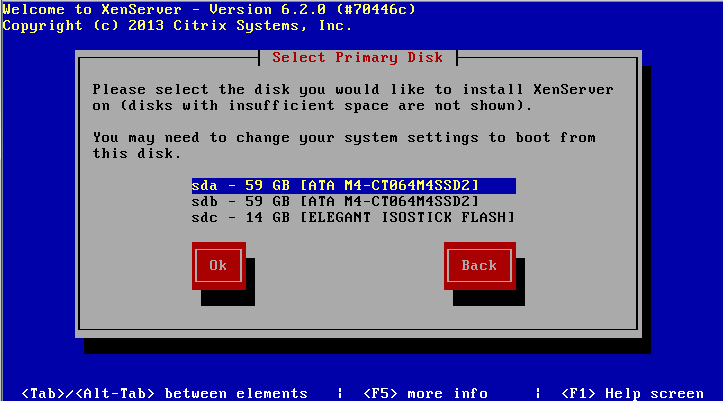 Now you should be able to boot into the new install! 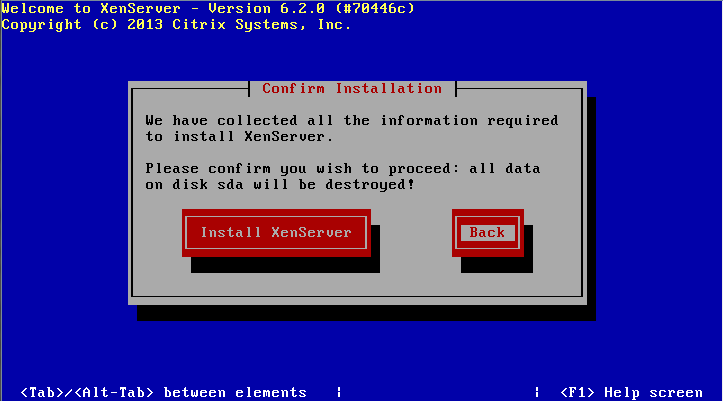 Now the installation is finished in first server we have to follow this installation for rest of the Xenservers with same ip subnet. 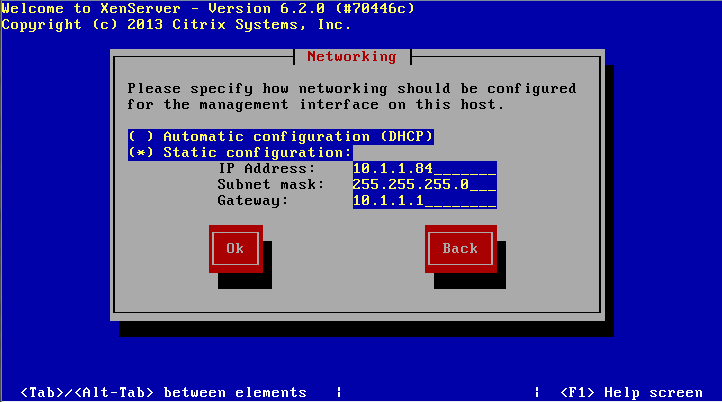 after the xenserver installation we have to configure xenserver with appropriate network configuration.